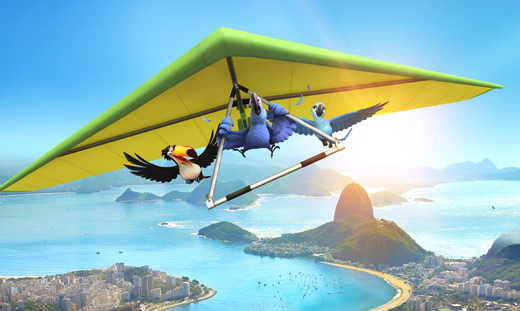 Under the direction of Carlos Saldanha, the team at Blue Sky delivers Rio, a visually stunning valentine to the birds, the beauty and infectious music of Brazil. True artists are often encouraged to find inspiration in their own backyards and personal histories. 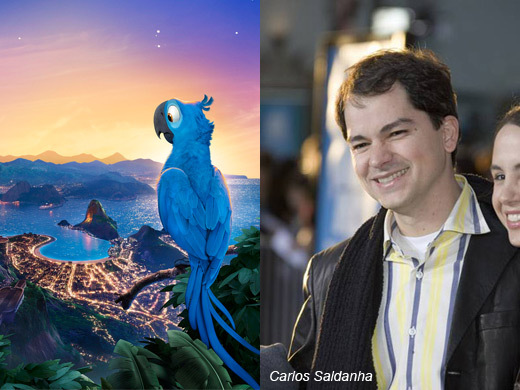 That’s certainly the case with Brazilian-born animator and director Carlos Saldanha who decided to put his hometown and its colorful culture and flora and fauna as the central point of the new CG-animated movie, Rio. The talented co-director of Fox/Blue Sky Studio’s Ice Age and Robots and the director of the two Ice Age sequels always knew that he wanted to return to his roots even as he was delivering one blockbuster hit after another with his team. 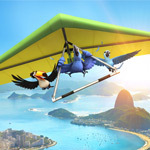 Rio charts the colorful adventures of a domesticated macaw named Blu (voiced by Jesse Eisenberg) who lives with his owner Linda in a small Minnesota town. In search of Blu’s female counterpart Jewel (voiced by Anne Hathaway), the duo take a trip to Brazil, but they find more than they bargained for when a group of bungling animal smugglers kidnap them. In terms of technology, Rio is by far the most challenging movie Blue Sky has tackled to date. 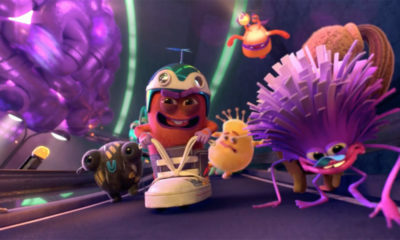 The studio’s second stereoscopic 3-D feature, it also features several human characters that play key roles in the storyline. There were several complex crowd scenes, cityscapes and an abundance of characters covered with feathers. 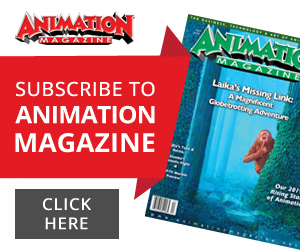 The R&D team at the studio created a new feather-renderer dubbed the Ruffle Deformer, which allows the animators to pose and shape the feathers with added control. Although the team at Blue Sky had worked on human characters in the Ice Age movies, Rio provided them with the opportunity to create full-fledged characters which played a bigger role in the overall picture. Saldanha points out that the studio’s lighting department developed a new way to render skin realistically, even though the human characters had exaggerated, stylized features. 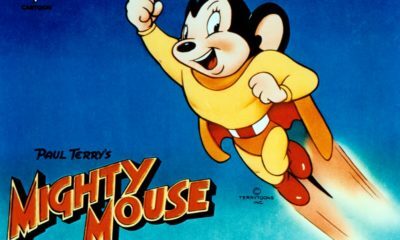 The talented director, who developed a love for drawing and cartoons at an early age, says he was fortunate to be able to marry his affinity for computer graphics with his love of classic toons such as Tom and Jerry, Looney Tunes and Disney 2D features from the golden era. 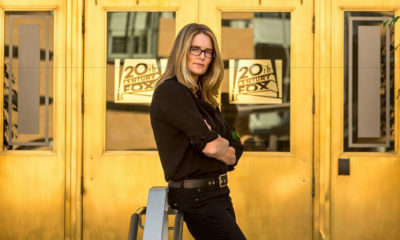 “After I moved to the U.S. in 1991 and got my Masters from the School of Visual Arts in New York, I was able to use my computer knowledge to create art. 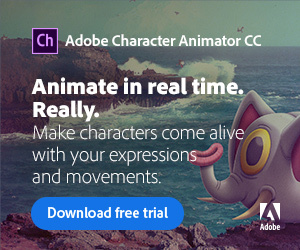 I always had a gut feeling for animation. 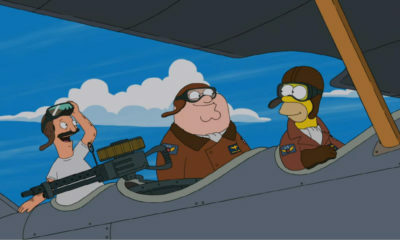 Fox/Blue Sky’s Rio opens in theaters nationwide on April 15.